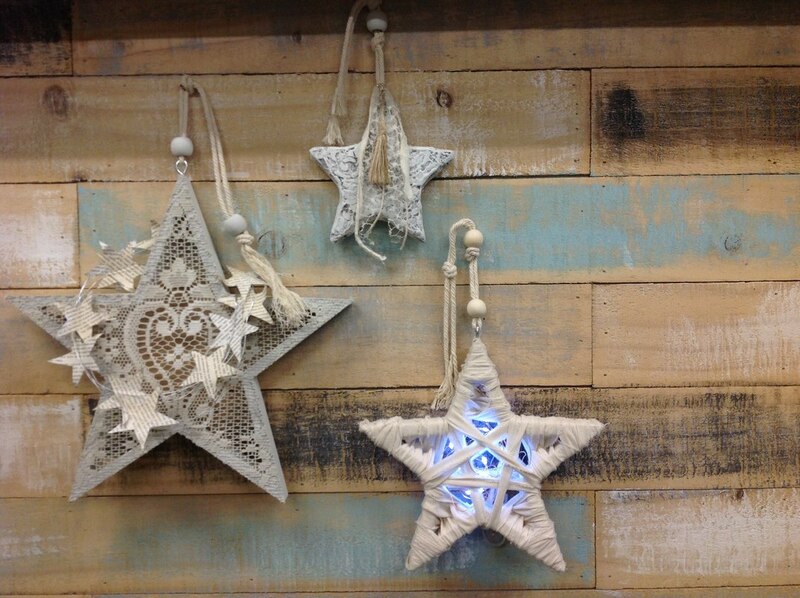 You can make these delightful starts that can be hung as a set or individually. 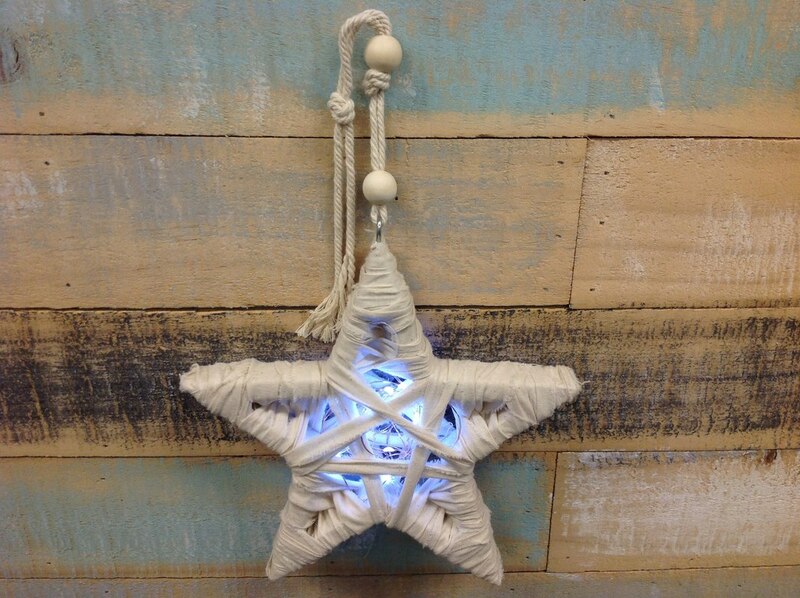 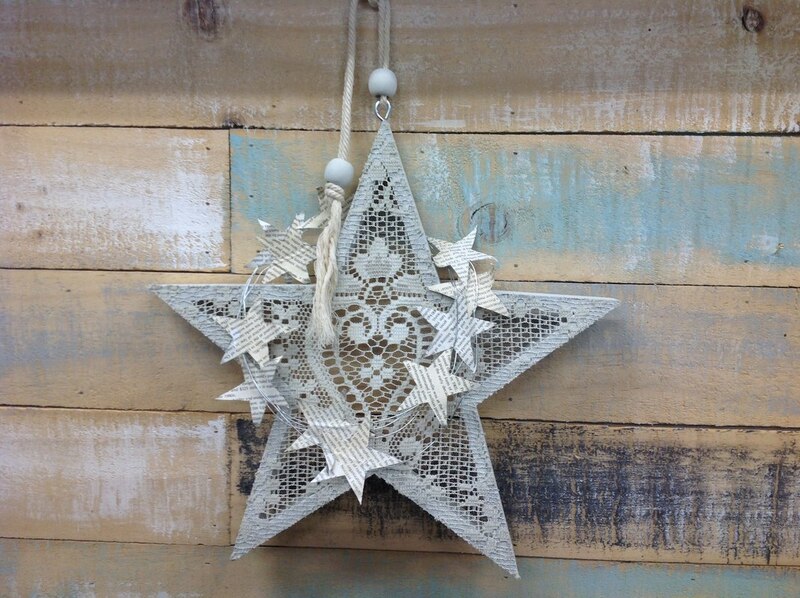 Star 1 is a large wooden star base with lace, texture and a paper & wire wreath. 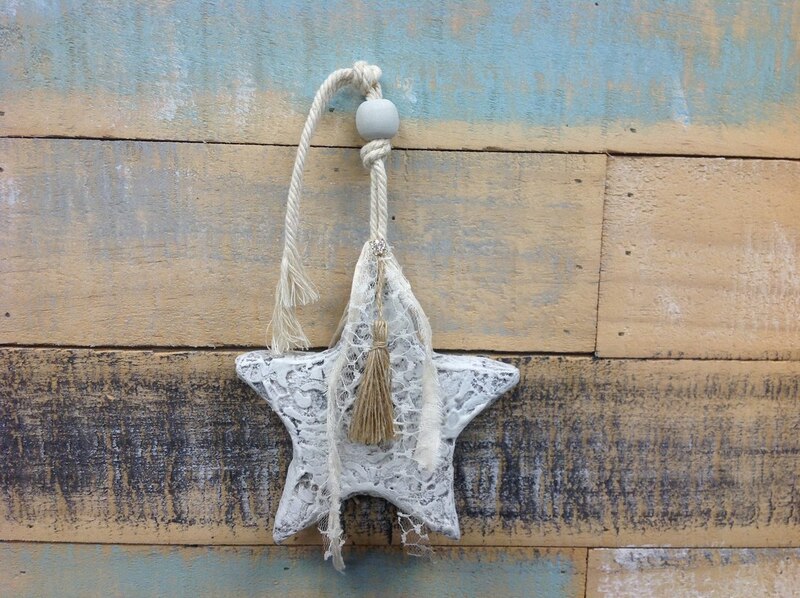 There will only be 2 workshops for these starts with a total of 11 spaces in all so early booking is essential.